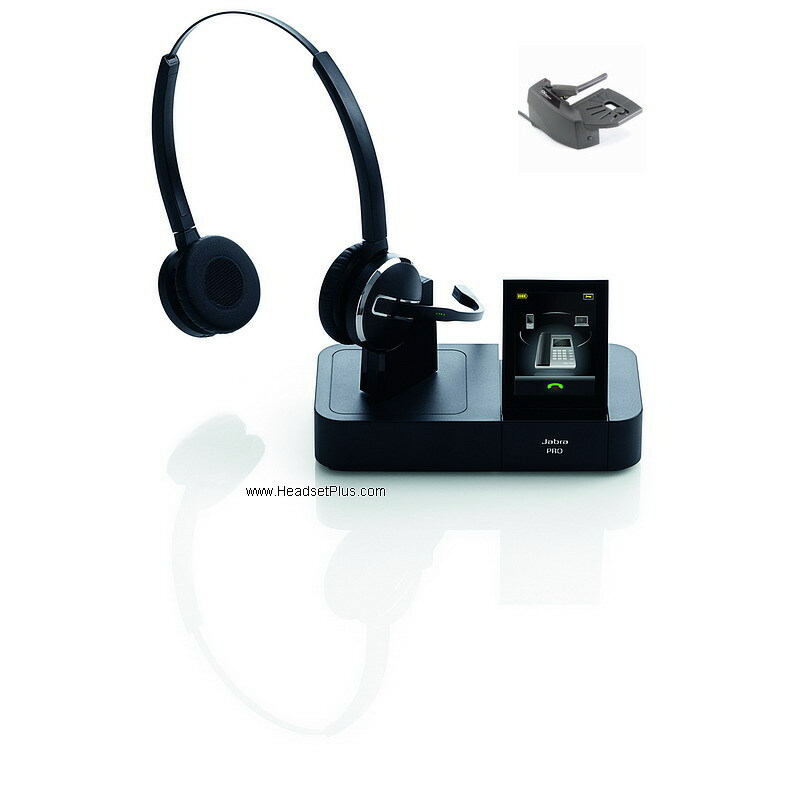 This is the Jabra Pro 9460 Duo + GN Netcom 1000 Bundle package. 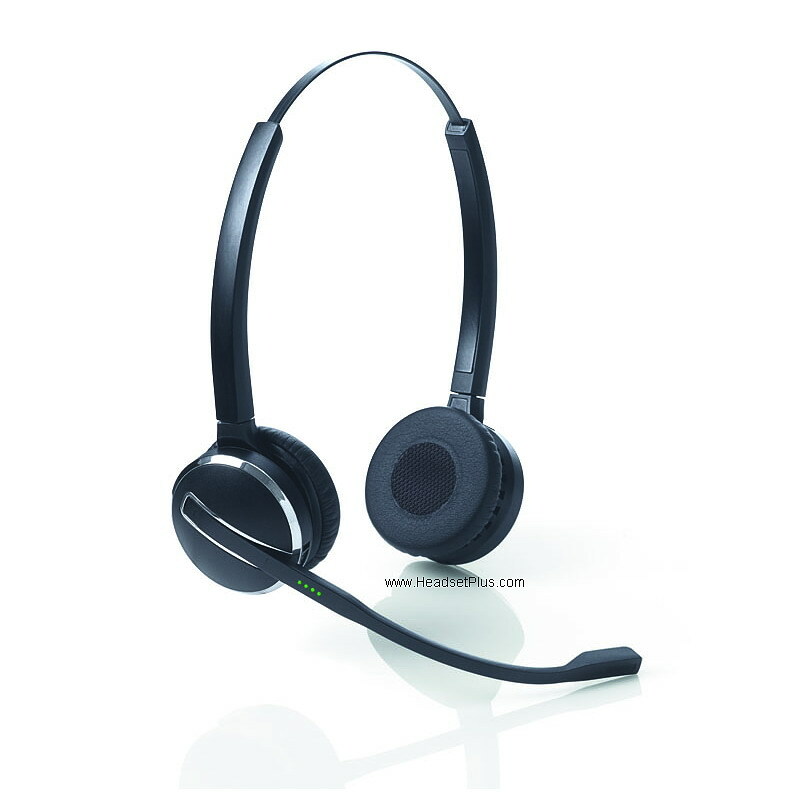 Jabra PRO 9460 Duo multiuse headset allows you to selectively switch between your desk and softphone. It features crystal-clear sound and a whopping 450-foot wireless range letting you talk all around your office. A stylish touch-screen base unites the two devices –desk and softphone. 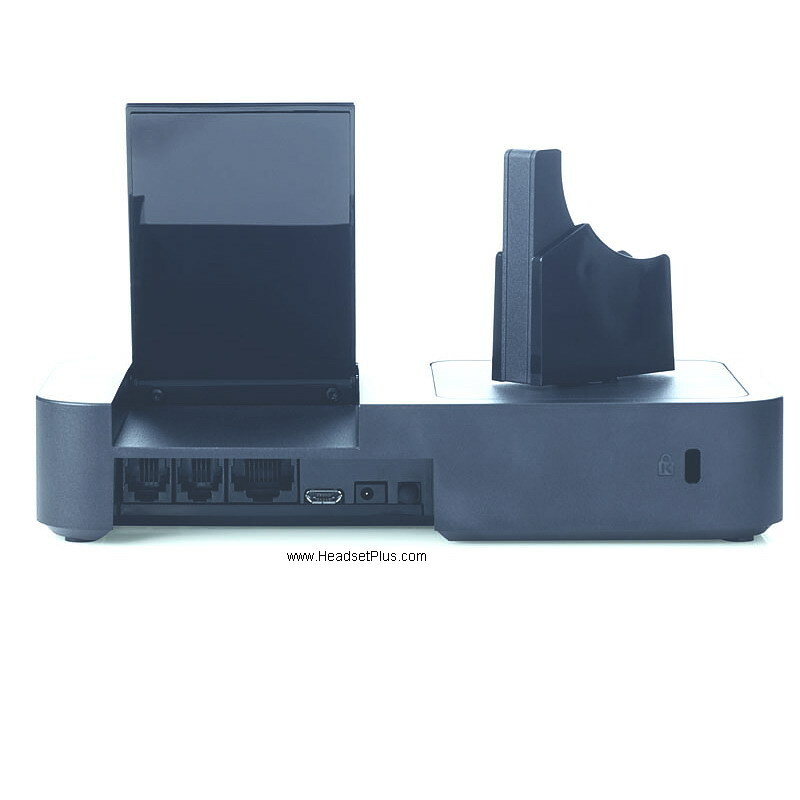 The base connects to your headset via DECT 6.0 (1.9Ghz) – a technology characterized by its reliable, long-range capabilities. A SmartSetup wizard on the touch screen helps you connect your phones and select preferences to get started. Once you’re up and running, the screen’s colorful icons and intuitive menu make call handling a breeze. Multiuse connectivity — allows users to easily switch between calls on desk and softphones. User-friendly touch screen base — with SmartSetup Wizard makes configuration and call handing a breeze. This 2.4” touch-sensitive screen in clear Q-VGA resolution shows active phone device and lets you redial. Up to 450-foot wireless range — around the office via reliable, long-range DECT 6.0 technology. Unbeatable sound — wideband audio and DSP (Digital Signal Processing) delivers crystal-clear sound. Additionally, a flex boom and noise-cancelling microphone practically eliminate all background noise, so your voice can be heard clearly even from a noisy location. Duo earpieces — virtually eliminate interference from surrounding noise for dramatically improved listening accuracy. Perfect for noisy offices and contact centers! Up to 10 hours talk time — in narrowband sound mode and up to 8 hours of talk time in wideband sound mode will take you through your whole day without interruption! Voice recording — from your desk phone lets you save your conversations on a PC. (PC recording application required). Touch sensor controls — for volume and mute. Plus a multifunction button for remote answering/ending of calls, call rejection, redial function, and switching between held calls. SafeTone technologies — Protects users’ hearing by cutting off sound spikes and sudden loud noises (PeakStop protection) and securing safe average sound levels throughout the day (IntelliTone). Secure conversation — with encryption between headset and connected device.